It’s time for Jaylin Bradley. No, not in the sense that Nebraska should just hand the backfield over to the true freshman tailback from nearby Bellevue. The featured running back job seems like it belongs to junior Devine Ozigbo now, and that’s perfectly fine. I wrote about my affinity for him back in August. But Bradley needs to be used more than he’s being used now. A lot more. “We’re really excited about him,” head coach Mike Riley said. 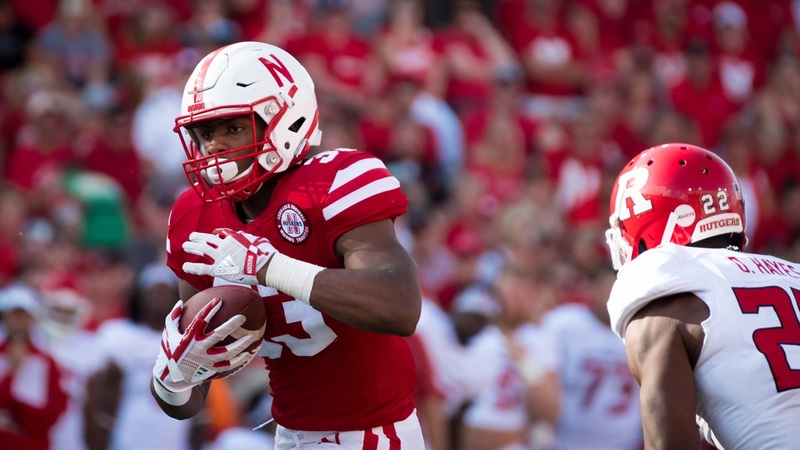 We’ve heard for weeks now that the Huskers want to get Bradley more involved in the offense. Those hopes have yet to materialize as Bradley has just seven carries on the season, six of them coming against Rutgers on Sep. 23. Running backs coach Reggie Davis said it’s not as easy as simply inserting Bradley into the game, giving him a few carries and then going back to the bell cow. “Some of it kind of depends on the game you’re in and we have certain personnel groupings that we put him in and if those aren’t conducive for the situation, then he doesn’t get the opportunities as much,” he said. That’s fine, but Bradley’s redshirt shouldn’t have been burned for seven carries and work on kickoff coverage. If he’s a part of the future, and every indication from the coaching staff suggests he is, then getting him work now and seeing what you have on your hands going into next season when everyone should be healthy is the smart decision to make. From what we’ve heard, Bradley’s only hole is in pass protection, but that wasn’t an area viewed as a strength for Wilbon or Ozigbo coming into the season either. They’ve been allowed to work through issues and things have, for the most part, improved. And Bradley appears to be learning too. There’s not really a reason to keep him off the field then. And look, I know this same type of argument can swing to the quarterback position too, but it shouldn’t. A true freshman getting “well, let’s just see what we have” time in the backfield doesn’t mean the team is throwing the towel on the season. Such a scenario at the quarterback spot, however, paints a different story. Nebraska is very much in the hunt for a bowl game still and making a quarterback change now is not something that happens in these situations. At the running back spot, inexperience isn’t as back-breaking as it is at quarterback. There are freshmen throughout all of college football running wild through opposing run defenses. Two of them just did it to Nebraska. True freshman tailback Jonathan Taylor had 249 yards on 25 carries when the Badgers ran over Nebraska. A week later, Ohio State freshman J.K. Dobbins was just as effective, with 106 yards and an 8.8 yards-per-carry average on just 12 carries. Ball security can be an issue, but even Ozigbo fumbled in the Illinois game and still got the rock and a chance to milk the clock in the fourth quarter. Davis said they don’t yank guys until it starts to become a problem in games and even if Bradley is putting the ball on the deck in practice, the staff values in-game minutes over the ones spent in the Hawks Training Center. During his press conference Monday morning, Riley talked about possible changes that could be coming to the Nebraska offense after a bye week spent reflecting on the things that have gone wrong. He also called Bradley an “exciting” and “important” player.